Resiliency is frequently discussed as a trait that one either has, or does not have. However, resiliency could more accurately be described as a skill that can be learned, practiced, and built upon. 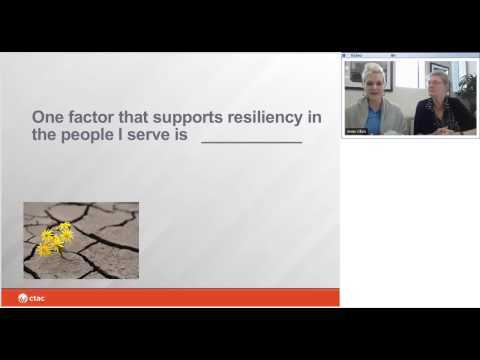 This webinar provides participants with information from some of the research on resiliency while also giving participants concrete practices that will build on the resiliency factors of their service recipients.